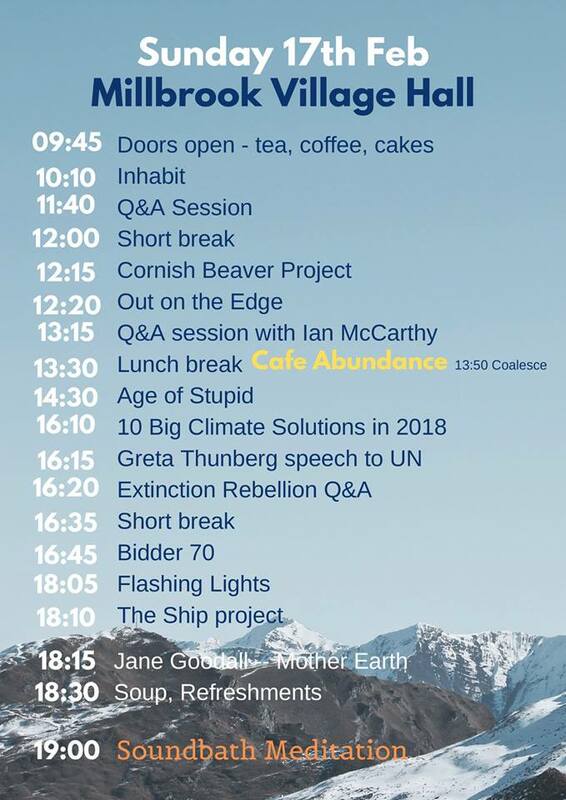 Forgotten Corner Film Festival – Lights, camera, climate action! Forgotten Corner Film Festival presents two days of inspiring local and international films exploring environmental issues, adventure and activism, as well as talks, live music and sound bath meditation. Don’t miss out on the Forgotten Corner Film Festival, coming to the Rame Peninsula on February 16th and 17th. The festival will feature a wide selection of films, ranging from low-budget local productions to game-changing international ones – as well as talks, live music and bar, a junk food café and sound bath meditation. 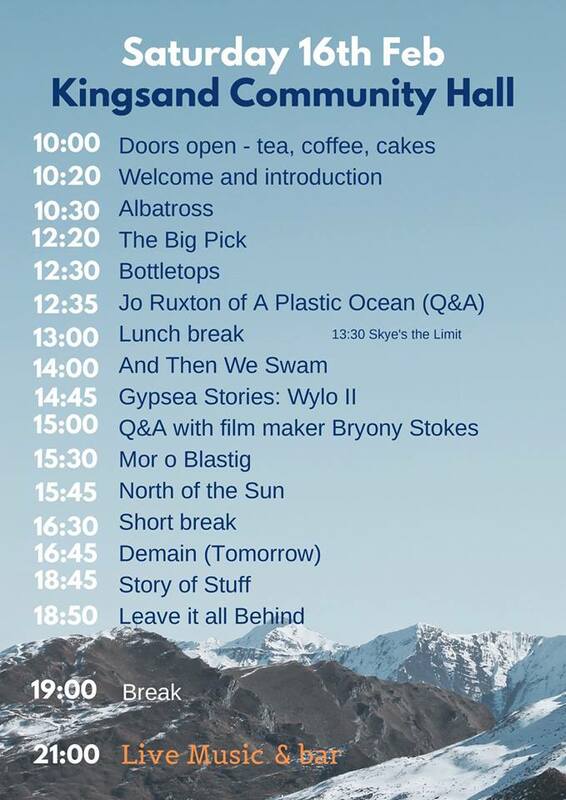 C Fylm is really happy to be supporting this festival, including a screening of Demain (Tomorrow) on Saturday 16th February. Demain is a positive, affirming and inspirational film, exploring creative solutions in the fields of food, energy, transport, economics and education. It visits permaculture farms, urban agriculture projects, community-owned renewable projects, local currencies, creative schools, ambitious recycling projects. It is the perfect antidote to the current sense of global despondency. Albatross, an incredibly powerful and moving film by photographer Chris Jordan documenting Laysan albatrosses, which raise their young in the heart of the Great Pacific Garbage Patch. Wild Cornwall – Out on the Edge, a stunning film about the incredible wildlife dramas played out right here under our noses, by former BBC wildlife cameraman Ian McCarthy who will also be at the event to take questions from the audience. The Age of Stupid, a drama-documentary-animation hybrid starring Pete Postlethwaite looking back from 2055 and asking why we didn’t do something to tackle climate change when we had the chance! A talk by producer Jo Ruxton, updating us on developments since the making of A Plastic Ocean, the ground-breaking documentary that unveiled the true scale of plastic pollution in the world’s ocean gyres and its impact on animal and human health. Inhabit – an inspiring vision of how permaculture could feed the world by working with nature rather than dominating it.